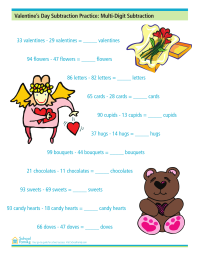 Practice multi-digit subtraction with this Valentine's Day-themed math worksheet. 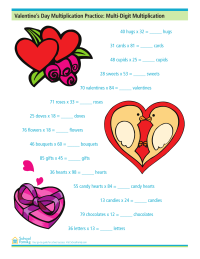 Practice multi-digit multiplication with this Valentine's Day-themed math worksheet. Can you guess which letters are missing in this Valentine's Day-themed missing letters worksheet? 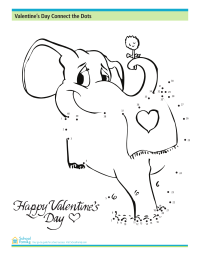 Practice your numbers by completing this Valentine's Day-themed dot to dot worksheet. 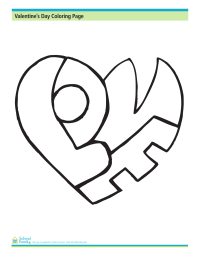 Can you find the letters that spell out LOVE in this Valentine's Day coloring page activity?